The equipment is unused surplus from the manufacturer. They come with the manufacturer C.O.C. Certifications available. The equipment is in a yard located outside of Houston, Texas. 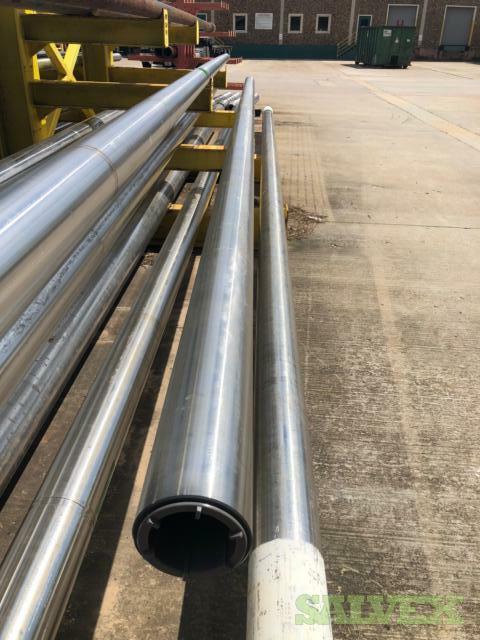 The lot of Non Magnetic Drill Collar 6-1/2" OD, 30 ft Length, 4-1/2" IF Connections is available for sale by the manufacturing company as it is no longer required for daily operations. The equipment is unused surplus and comes with manufacturer COC. Scrap Pipe, Mixed Lot of 2-7/8" up to 10"